The effect of mathematics upon human being was studied in Pantheon, the ancient building. This Rome project has been started with the feeling that I had in Pantheon. When I came inside, a big empty space came across to me as a big powerful space. I felt another feeling suddenly after 10 minutes, That was coziness. 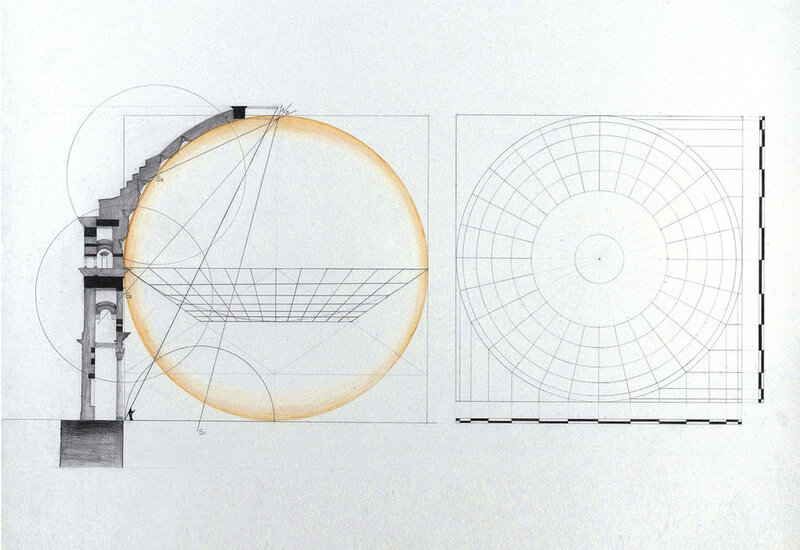 Pantheon had been built by complete mathematics thinking in Pantheon and started drawing. Site Analysis: When I extend the line as every 10 degree from the center of Pantheon. I discovered that the lines pass the center of important building or atrium of building. For instance, the lines pass the center of the Coliseum, Foro Romano, Tranza Market, Circo Maximo, Tiber Island and so on. Elevation Analysis / Column Order: Analysis relationship between elevation order and mathematics such as Diophantine Triangle. Section Analysis: Analysis relationship between wall and mathematical proportion. Analysis section by mathematical idea, and found proportion each coffered wall on ceiling. I found perfect circle fit in space. When I draw the line from the center of circle to the tangential point between inner circle and Pantheon wall, it is able to explain via mathematical ideal. Also, I study coffered wall with mathematics. Perspective Analysis: I tried to find feeling of coziness in gigantic void space. According as studying and analyzing the Pantheon. 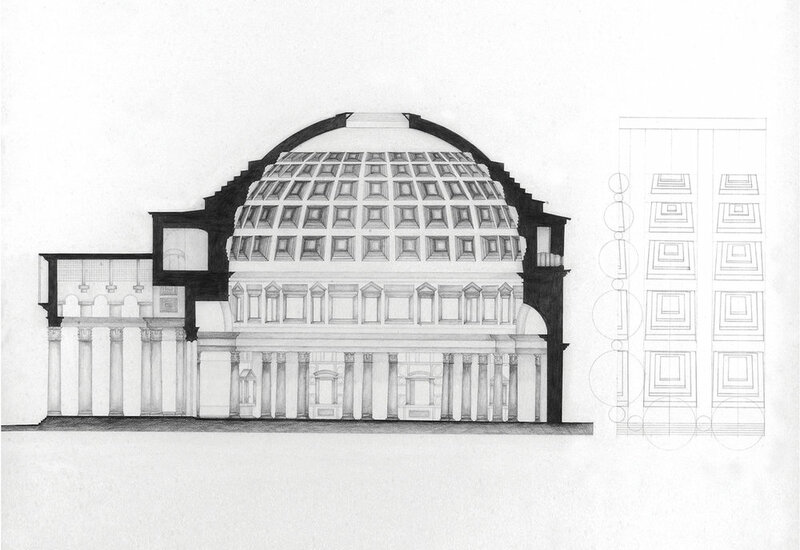 Pantheon was built by using perspective idea. That is, these idea makes stable with vision of human when we see the top of Pantheon, and it makes emotional coziness.